Soon after, Oui Bebe Cloth Nappies was born. Alex wasn’t content with existing designs, so drafted her own original pattern. She knew that some babies, like her own, had chunky little legs that needed room- something many modern cloth nappy patterns didn’t allow for. She designed her own pattern and got sewing. It wasn’t long before she had her own Etsy store and a growing fan base for her product. Alex began looking into larger scale manufacturing, something that ground to a halt in May 2014, with the birth of her second child, Hattie, who was quite different to her big sister. Alex had first started baby wearing when Harper was 4 months old. She was wading through reflux territory; nothing but keeping Harper upright after feeds would help. Turning to her online mums group for advice, one of them suggested baby wearing as a way to give her arms a break. Harper was already 10 kg so Alex bought her first woven wrap, something that would eventually change the course of her career. When Hattie was born, Alex soon realised that she was quite a different baby to Harper. Harper needed to be upright to get through her reflux issues but Hattie was a velcro baby who breastfed constantly. Alex credits baby wearing with getting her through a really hard time; Hattie was born with a tongue tie and Alex struggled to keep up her milk supply due to a physical condition called Insufficient Glandular Tissue. 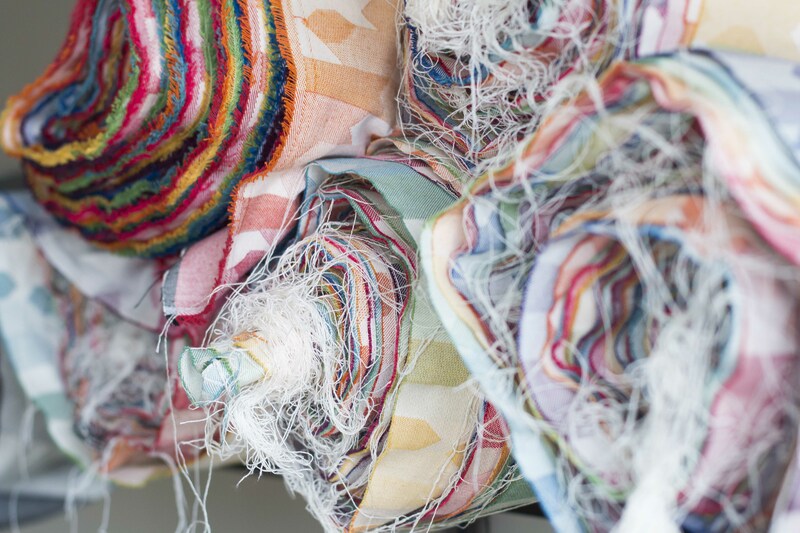 Feeding at all hours of the day and night led to an often expensive habit- buying woven wraps from across the globe! During her late night shopping online, Alex realised that there was something missing from the woven wrap market. High quality woven wraps from Australia. Where were they? 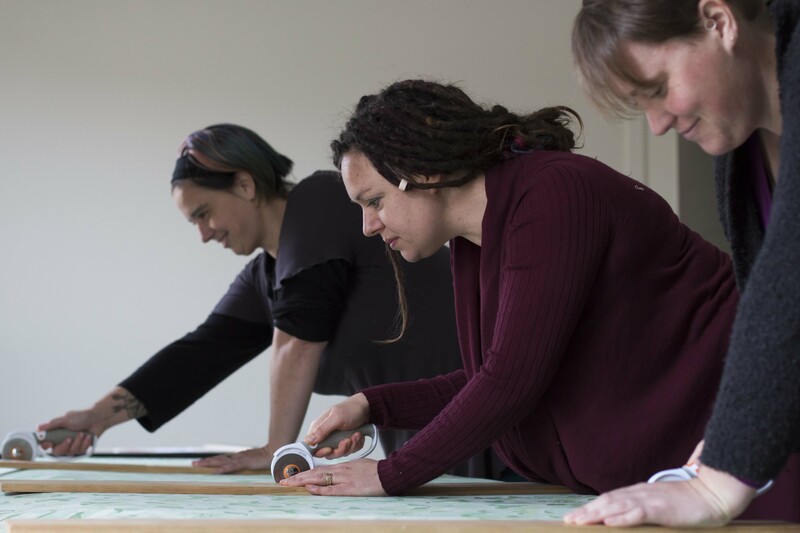 There was an Australian based company called Lewlewbelle but they chose to go in a different direction, now sourcing their materials in Ireland. The seed was definitely planted and Alex began quietly gathering information. She didn’t know it at the time, but her online friend, Kellie Rakich, had been doing the same thing. Alex had asked a question about weaving in an online forum. Almost immediately, Kellie sent her a private message. The seed of the idea they’d both had began to grow and the woven wrap company called Ankalia was born. Alex lives in Queensland, while Kellie is in Tasmania. As business partners and friends, they compliment each other and work hard to be across every detail of their business. As you can imagine, they spend a lot of time talking online. Where one slips, the other picks it up, because they are focused on the same goal. The scale of their operation is impressive; they are supplying wraps to families across the country and even across the world. Their wraps have even made it into the hands of Ula Tuszewicka, founder of Tula baby carriers, who used some of their wraps to create wrap conversion Tula carriers. The Australian baby wearing community has embraced Ankalia wholeheartedly, vying for the latest designs and happily supporting a home-grown enterprise. Most of the designs for the wraps are done in house. Alex and Kellie keep an eye on European trends to see what the next big thing might be and work closely with their small team on designs. They’ve also branched out, working with an increasing number of designers and artisans from within the baby wearing community. They highly value the work of talented, baby-wearing caregivers who are thrilled at the chance to help create beautiful wraps and slings. In Australia, the baby wearing industry is largely unregulated. 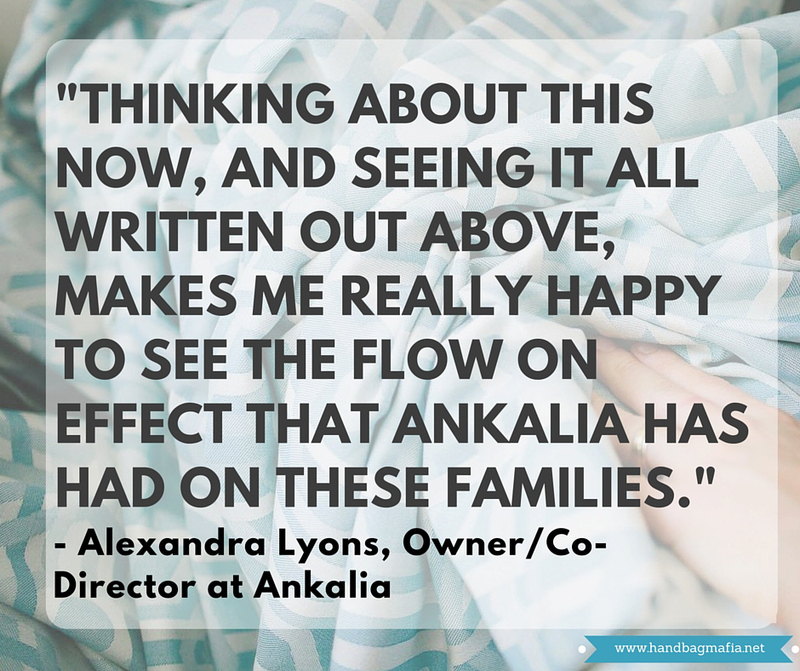 In answer to this, Alex and Kellie have ensured that Ankalia wraps and slings are designed to adhere to the US standards, meaning their carriers are high quality and as safe as can be. Ankalia has just taken on 2 new employees in addition to the existing staff. Ankalia, under the auspices of Alex and Kellie, provides their growing team with a flexible workplace to accommodate their family lives. Kellie has her own team of Laura and Jane down in Tassie who help her cut all the bolts from the mill, and sew the in-stock range as well as a handful of the Elements releases. Kellie & Co in action! 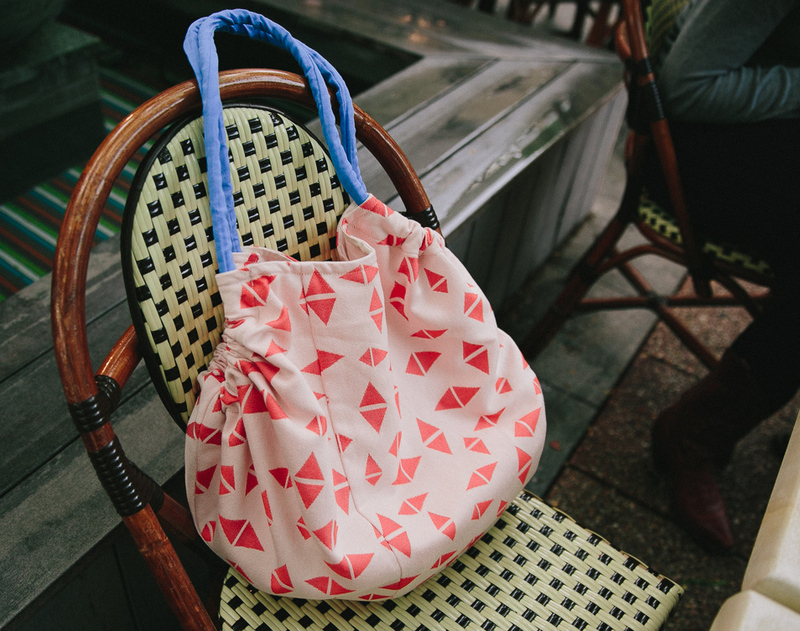 In Queensland, Alex along with Madi, Kat and another talented seamstress to work on more of the sewing, including their exclusive Todo tote bags. They also employ Liz Taylor, who is the editor of the Ankalia online journal, and a handful of photographers around Australia and the world to make sure that their wraps and carriers look their very best ahead of a release. 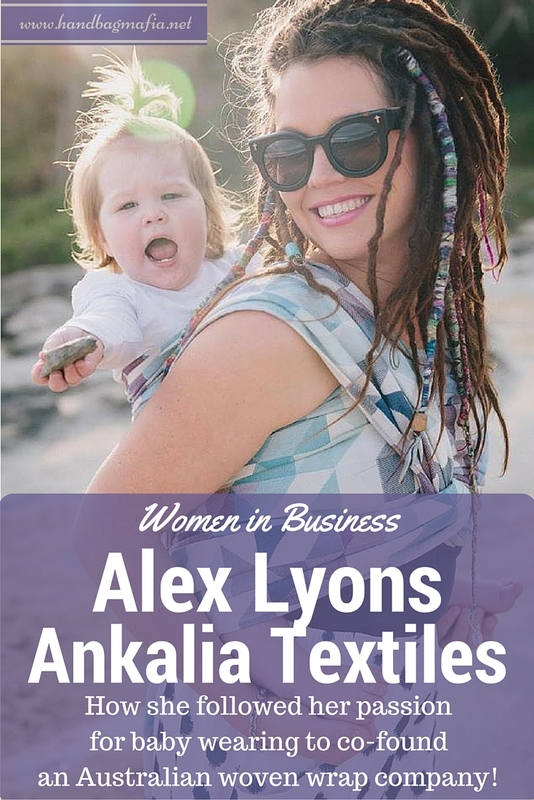 Ankalia have also teamed up with another business called Under My Wing, run by Krystal, another Australian mum who has used her sewing skills to start her own business. Krystal works with Ankalia’s textiles to create structured buckle carriers, providing families with yet another way to carry their children. This collaboration has allowed Krystal to grow her business also, and to provide some wonderful and very skilled women with employment who wouldn’t otherwise have it. When I interviewed Alex for this piece, she realised what an impact she and Kellie have had on others through Ankalia. Alex acknowledges that starting Ankalia with Kellie has helped her to grow as a woman and a mother. Although she’s a busy lady, she works hard to balance work and home and knows she’s being the best role model she can for her girls. As someone who maybe didn’t fit the mould when growing up, Ankalia has seen Alex come into her own. She’s living her passion for baby wearing and harnessing her creativity into a business that has grown well beyond initial hopes and expectations. Together, Alex and Kellie have been able to bring high quality, affordable and Aussie made wraps to families around the world with vendors in 4 different countries and more on the horizon. Not only have they created a business that provides high quality carriers, employed women in flexible work environments and collaborated with other women in business, they’ve also been able to use their platform to help raise funds for charity. Close to the hearts of both Alex and Kellie, Ankalia have been able to contribute directly to families effected by cancer as well as to charities including GALFA, Pitjantjatjara Yankunytjatjara Education Council, The Baby Wearing Education Council and have worked in conjunction with Save Asha, Heartfelt and the Cerebral Palsy Foundation. You can check out Ankalia here on their website or follow them on facebook.